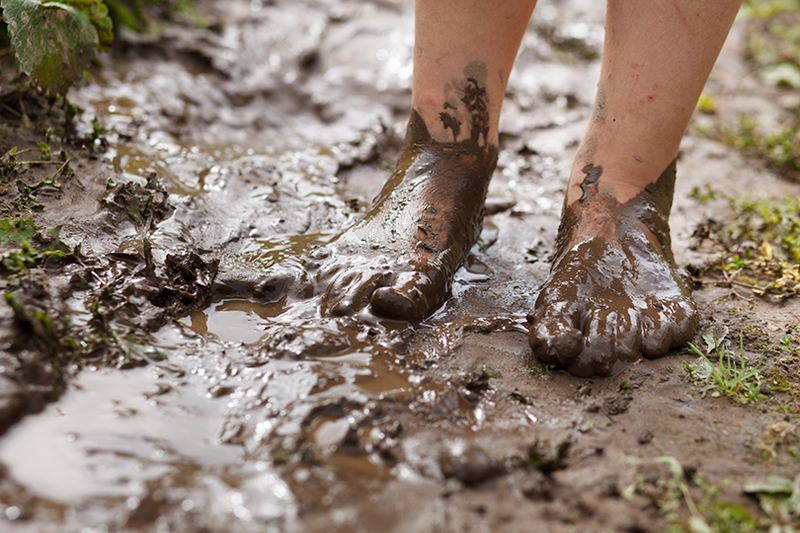 If you enjoy gardening, then it is likely that you have an appreciation for getting a little mud between your toes. For me, digging in the dirt bare foot connects me to God’s creation in a way that few other things do. And nothing gets as dirty as your feet do. Hands come close…but there is something about the squishing and squashing of feet that just grinds in the dirt like no other body part. I also appreciate coming inside and getting washed up. It just feels good to get clean after getting muddy and dirty from the garden. And I particularly love watching the dirt rinse away from my feet. It is one of the most visible signs of being cleansed that I know of – at least for me with my very white feet! Because feet can get so dirty, it is all the more striking when the dirt washes away to reveal the flesh beneath. Jesus seems to agree, at least from the perspective of the Gospel of John. During Holy Week, Matthew, Mark, and Luke focus on the actual meal of the Last Supper. But John barely even mentions the meal and instead focuses on what we call today a foot washing (read John 13). Now, washing feet was a common practice during the time of Jesus and his disciples, especially before a meal. Feet got particularly dirty in this time in part because roads were dirt and footwear was mostly sandals. You can imagine that after a day’s journey, your feet would be exceptionally dusty and dirty. Washing them prior to a meal was normal and common. This response gets translated lots of different ways by different bibles. So, pay close attention to what Jesus says. At the most basic level, Jesus is stating that servanthood is a part of being together, of working together, of being in community. Now, the disciples were at Jesus’ side to serve him. That is pretty much a given. But the teacher, the rabbi, the master says that he must serve his disciples if they are really on the journey together. This passage speaks about servant leadership. We all have a lot to learn from a master who serves those who would serve him. I encourage you this week to spend some time reflecting on this story. What would it mean to those around you – at work, in the community, or at home – if you took the position that Jesus takes here as he and the disciples prepare for communion with one another? As you consider this question, pay attention to some details of the story. Note that Jesus serves those within his community. In this story, he does not swoop in to save the day for folks he does not even know. Instead, he responds to the specific situation of those close to him with whom he had deep relationships. He does not set the agenda (as leaders are prone to do). His service is not one that seeks to change the behavior of the disciples, though he does respond to their questions when they ask him what he is doing. And after he is finished, he uses the experience as a teaching tool to encourage his disciples to follow his example in their dealings with one another and with others. The foot washing story in John is one that many churches forget about during Lent. And we rarely mention it when practicing our weekly remembrance of the Lord’s Supper. Yet it is a defining story within John’s gospel that we ought to spend more time cultivating in the garden of our life. Washing feet can be dirty work and we will probably discover just how dirty our own feet are in the process. But, dirty feet never hurt anybody. And as I said, getting a little mud between your toes can connect you to your Creator in a way that few other things can.